Celebrating our independence this year is the party that just won't quit. And well, um, I'm over it people. Not to be a Fourth of July Scrooge, I just wish people would quit with the damn fireworks already. Don't get me wrong, we had a great time this past weekend. I mean come on, what other family do you know that has a parade with a red, white and blue decorated tractor and kids singing "Yankee Doodle Dandy"? Followed up with the Pledge of Allegiance under the flag? Seriously? Do you know any other family? 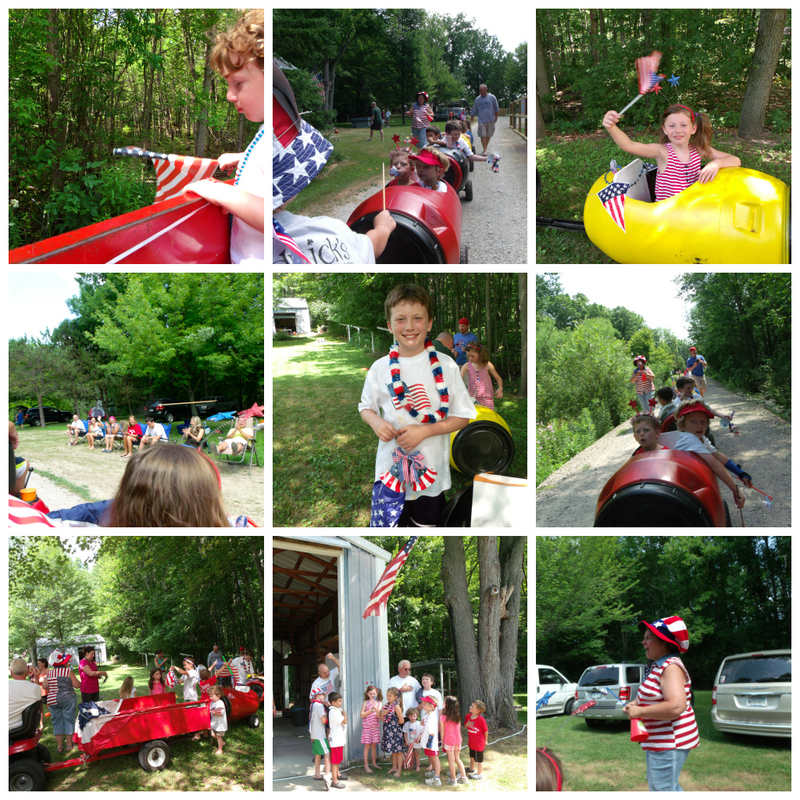 There was swimming, fishing, cookouts and more good old-fashioned Fourth of July fun. It was good. But now I'm ready to put away the sparklers and get going with the rest of the summer. By parade time, nothing seemed to really be bothering him. His behavior was a bit disturbing to me for other reasons though. He was acting like he was the crazy fraternity boy in a drunken parade rather than a sweet cousin/family parade. Oh boy. Just a reminder, you can click here to sign up and get the blog updates via email.